Don't miss this "Best Value" on card favorites! Save over 75¢ per card! You"ll appreciate the great value, wide variety, and delightful designs of the greeting cards in these Everyday Card Value Packs from Leanin' Tree. 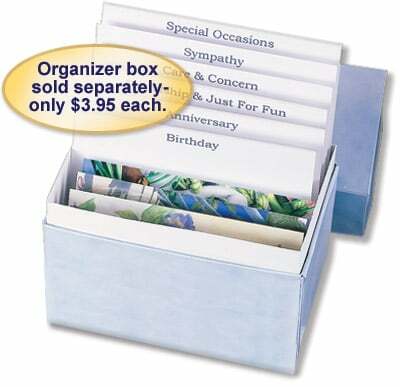 Filled with our most popular designs for a variety of everyday occasions, Value Pack Assortments are like having bulk cards at home. Some cards are left blank for you to write your own message! Only $27.95! – A $48.75 Value!